Home » Coast to coast » Vote4Socialism.org! 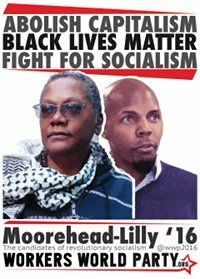 Workers World Party’s national election campaign, with Monica Moorehead for president and Lamont Lilly for vice president, is building the struggle to abolish capitalism, defend Black Lives Matter, disarm the police and Immigration and Customs Enforcement agents, and fight for socialist revolution. We aren’t running a campaign to win a seat in the White House; we are running to let people know that there is no way out of this crisis but to fight and organize — in the streets! 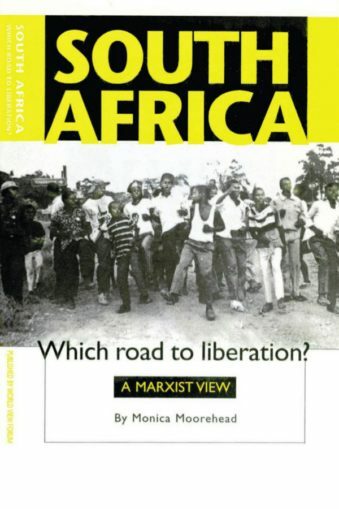 A vote for Monica Moorehead and Lamont Lilly is a fist raised for socialist revolution! Everyone can vote for our candidates online — two socialists fighting for Black lives whose 10-point program uplifts the need of workers and the most oppressed everywhere. This includes prisoners, youth under 18, undocumented people and folks from other parts of the world — all can cast their ballot online for our candidates. Only the struggle for revolutionary socialism can change the dire conditions facing youth, workers and oppressed people worldwide. Cast your vote today at our website, Vote4Socialism.org, and fill out the form there to get involved! We’ll connect with you on more ways to support the campaign and promote solidarity and unity in the struggle to build a workers’ world.